I love appropriation, it forces a reconsideration of ideas previously taken for granted. I am a little conflicted that the ceramic decals that are affixed to a ceramic tile are framed in a drawing language. Overall I am in love with the exciting visual language that I can describe as “toy like”. 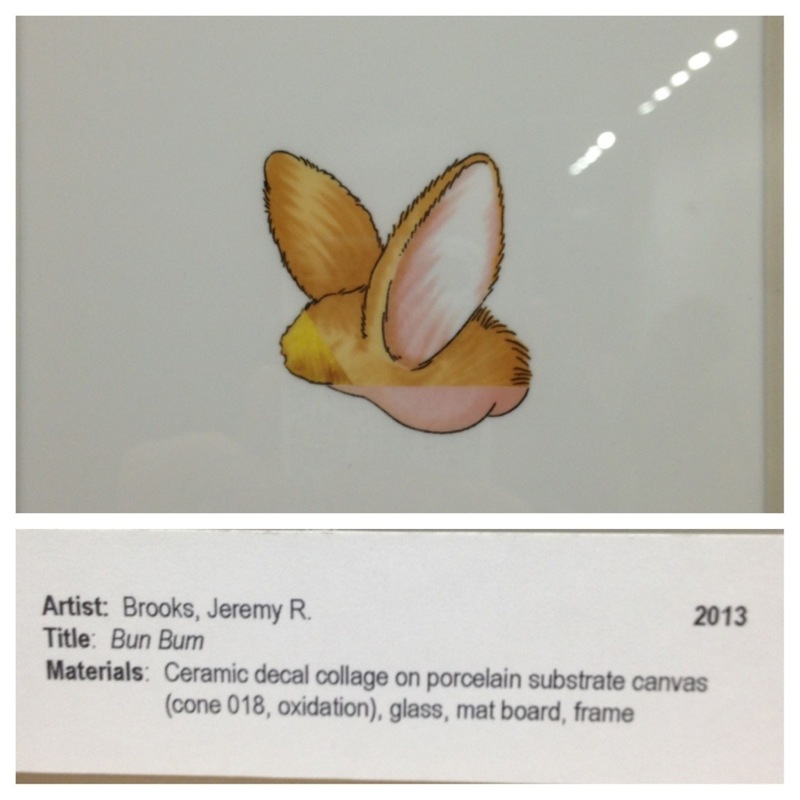 Categories: Uncategorized | Tags: appropriation, bunny, Jeremy brooks, nceca | Permalink.